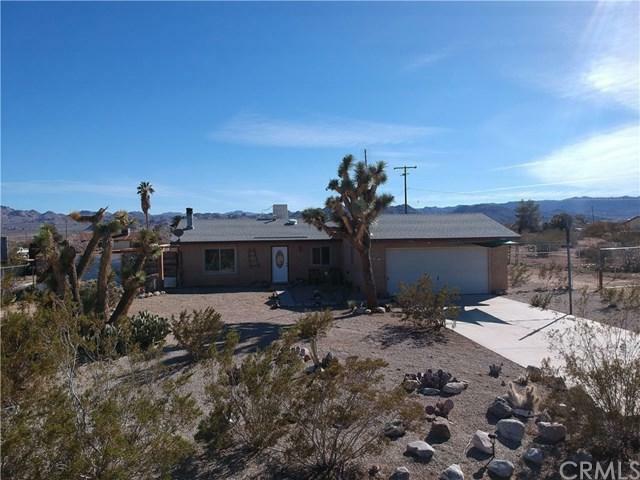 63593 Walpi Drive, Joshua Tree, CA 92252 (#300805160) :: Ascent Real Estate, Inc.
Amazing opportunity to own your very own retreat in Joshua Tree CA. 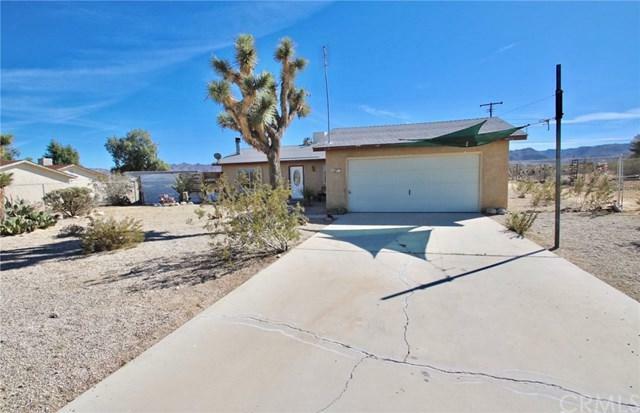 Situated on almost a half acre lot with a huge backyard this place is ready for someone looking for a sanctuary of their own after enjoying a panoramic hike in the Joshua Tree National park or a fun filled day in Downtown. This home has so much to offer it's unreal! Climbing enthusiasts will be amazed by the built in Rock Wall ready to train on before your next adventure! 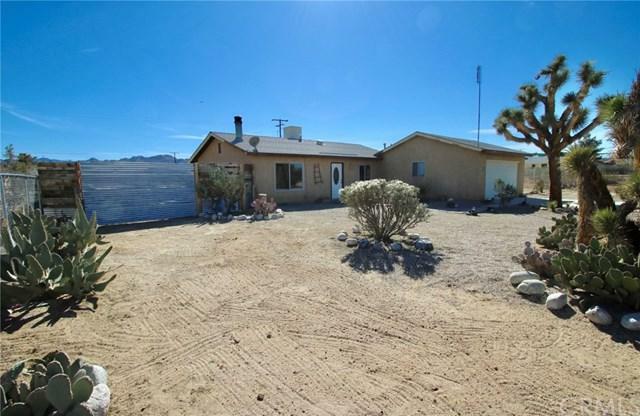 This property is also outfitted with a full solar system so your bi Amazing opportunity to own your very own retreat in Joshua Tree CA. 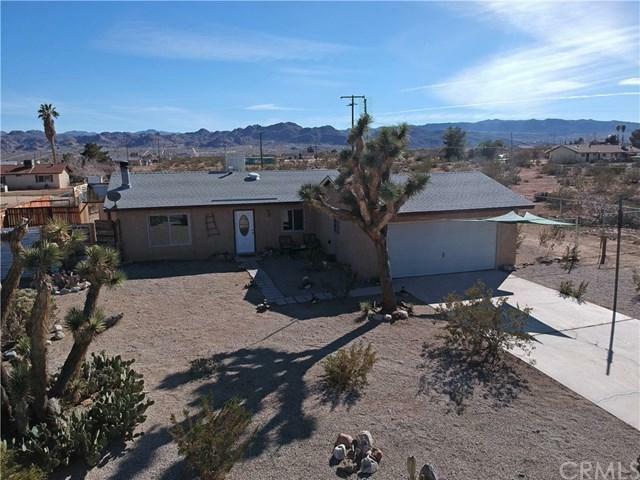 Situated on almost a half acre lot with a huge backyard this place is ready for someone looking for a sanctuary of their own after enjoying a panoramic hike in the Joshua Tree National park or a fun filled day in Downtown. This home has so much to offer it's unreal! Climbing enthusiasts will be amazed by the built in Rock Wall ready to train on before your next adventure! This property is also outfitted with a full solar system so your bills are minimal! After a long day in the Park the covered back patio is perfect for kicking your feet up and staring out to the vast desert views all the way to the epic mountains to the south. Another killer feature to this property is the extra side room with built in bar to entertain your guests! This 2 bedroom 1 bath home also features a beautiful masonry fireplace perfectly situated in the middle of the living room, tile and wood laminate flooring, carpeted bedrooms, evaporative cooling system, large kitchen featuring a retro 1950's stove/oven, 2 car garage, gorgeous Joshua Trees and desert flora, Hip Joshua Tree yard art, fenced in yard, and so much more! Call today and arrange your private showing! This one will be a crowd favorite! Listing provided courtesy of Cherie Miller & Assoc.. Listing information © 2019 San Diego MLS, Inc.